MoveStar’s Moving Checklist - MoveStar Inc. Using this moving checklist will keep you prepared and organized. We recommend starting approximately 8 weeks before the move date. Begin by making a list of what you want to move and things you will get rid of. Don’t forget to return borrowed items to your neighbors. Make arrangements to transfer school records to the new school district your child will be attending. Keep a copy of your new address somewhere handy. Have your packing supplies ready. And yes, MoveStar has great prices on a wide variety of supplies you may need. Clean out the pantry. Time to enjoy the rest of those canned goods. Your new home will need to accommodate your large appliances and larger pieces of furniture so get out the measuring tape and review the available space in your new home. Don’t forget to measure the entry ways your large furniture will need to pass through. Schedule travel arrangements if you are moving out of the area. All travel arrangements (hotel, flights, car rental, etc.) for your family should be made at this time. Make transportation arrangements for your pets. Call MoveStar and schedule your move date. A MoveStar consultant will answer any questions you might have. Decide how much packing you will handle yourself. MoveStar offers professional packing services. 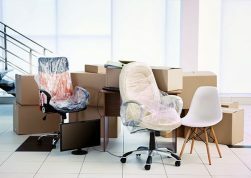 Accomplish packing a few days before your move date. Label your boxes. “Fragile”, “Do not load” etc. Dispose of items that are considered a hazard and not allowed to be moved. See MoveStar’s packing tip list. If necessary notify your building manager. Reserve the elevator and a parking space at your old and new address for the MoveStar truck. Arrange for any items that might need to be picked up. Cleaners, pharmacy etc. Empty, clean and defrost your refrigerator at least 24 hours before your moving date. 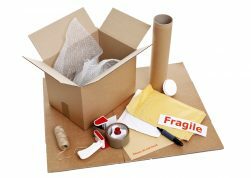 Pack a box of things you might need at your new home. Cleaning supplies, disposable plates and cups, bathroom items, trash bags are a necessity. Pack a separate box with blankets, sheets and pillows for your bed. Be on hand when the driver arrives and throughout the loading process. Make sure someone will be there to direct the movers. Accompany the driver during inventory. Check on the condition of your goods as they are loaded. Make a final tour of your home. Make sure that nothing is overlooked. At your new location instruct movers where to place boxes and furniture. Sign the bill of lading and make sure your new address and phone number are correct. Be on hand to pay the driver with a personal check or credit card.